Food laboratories in the United States may voluntarily choose to become accredited to an international standard known as ISO/IEC 17025:2005. This standard outlines the general requirements for the competence of testing laboratories. More recently, the FDA issued a final rule on the Accreditation of Third-Party Certification Bodies to Conduct Food Safety Audits and to Issue Certifications (Third-Party rule). Effective January 26, 2016, this final rule states that “for a regulatory audit, (when) sampling and analysis is conducted, the accredited third-party certification body must use a laboratory accredited in accordance with ISO/IEC 17025:2005 or another laboratory accreditation standard that provides at least a similar level of assurance in the validity and reliability of sampling methodologies, analytical methodologies, and analytical results.” In short, for a segment of food laboratories, accreditation has become a necessary credential. At present, it remains a voluntary activity for most food laboratories. There are accreditation bodies that accredit food laboratories to the ISO/IEC 17025 standard. The major accreditation bodies report on their individual websites which U.S. food laboratories are accredited under their watch. The numbers are self-posted to individual websites. The frequency with which these websites are reviewed or updated is unknown. Sites list both domestic and international laboratories. While foreign addresses were excluded from the count, those laboratories could perform testing for U.S. entities. It can be difficult to separate the names of laboratories performing testing on human food versus animal feed. There are several ways to duplicate or even exclude numbers. As examples, laboratories may be accredited within a food testing program, but may also be accredited under “biological” and/or “chemical” schemes—or vice versa. In some cases, it is difficult to discern from the listings which laboratories are accredited for food testing versus environmental or pharmaceutical testing. With all these caveats, the four major laboratory accreditation bodies accredit approximately 300 food laboratories. A2LA captures the lion’s share of this overall number with approximately 200 laboratories. Some believe that FDA will begin requiring accreditation for at least some significant segment of the food testing industry, of which the U.S. has roughly 25,000 laboratories. Whether that’s restricted to third-party labs – numbering roughly 5,000 – or will also include all food manufacturers’ internal labs is yet to be seen. Using the writer’s sources, simple arithmetic finds 25,000 laboratories multiplied by the estimated 5% accreditation equals roughly 1,250 accredited laboratories in the United States. This, of course, falls far short of the 300 accredited laboratories noted by the major accreditation bodies. This is not to question either the writer’s sources or the websites of the accreditation bodies, but it does highlight an inconsistency in how we account for the laboratories testing our food. To go a step further, Auburn Health Strategies produced in 2015, a survey of food laboratory directors, technical supervisors and quality assurance managers on the state of food testing. 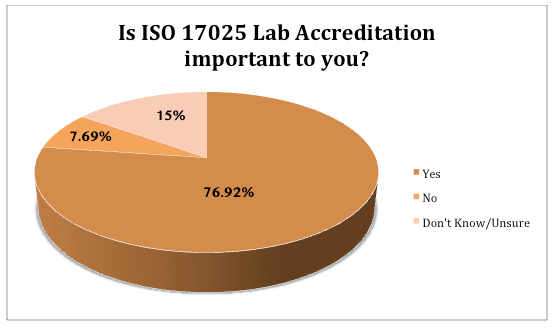 The survey, commissioned by Microbiologics, asked a series of questions, including: “Are the laboratories you use accredited?” The respondents replied that, for their on-site laboratories, 42% were accredited and 58% were not. For their outside, contract laboratories, 90% of respondents stated that these laboratories were accredited and five percent did not know. 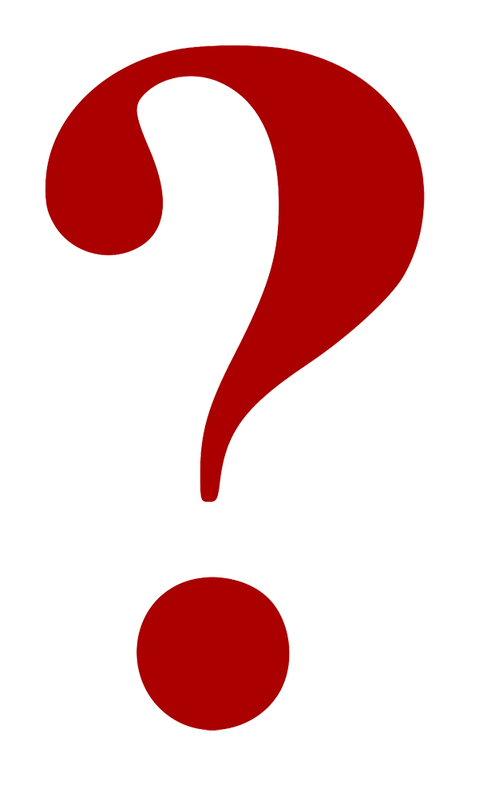 A second question asked: “Some laboratories are accredited to an internationally-recognized standard known as ISO 17025. Is this important to you?” Approximately 77% of respondents answered affirmatively. Equally telling, 15% said they did not know or were unsure. What we do know is that there is not a definitive accounting of food laboratories—accredited or not. This lack of accounting can present very real problems. For example, we do not have a centralized way of determining if a particular laboratory has deficiencies in testing practices or if its accreditation has been revoked. Without knowing where and by whom testing is conducted, we are at a disadvantage in developing nationwide systems for tracking foodborne disease outbreaks and notifying laboratory professionals of emerging pathogens. We most certainly do not know if all food laboratories are following recognized testing methods and standards that affect the food we all consume. FSMA includes a provision calling for the establishment of a public registry of accreditation bodies recognized by the Secretary of Health and Human Services. The registry would also contain the laboratories accredited by such recognized organizations. The name and contact information for these laboratories and accreditation bodies would be incorporated into the registry. Rules for the registry have not yet been promulgated by the FDA, but should be. This is a small step toward greater accountability.